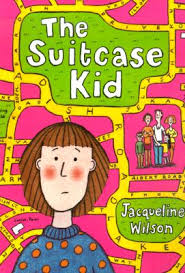 Today we have been reading The suitcase kid by Jacqueline Wilson .It is about a girl called Andy (Andrea) and her parents split up so she spends 1 week at her mum’s house and one week at her Dad’s . Easy as ABC 123 right ? Think again. All Andy wants is to live at mulberry cottage with her mum and Dad like a happy family. 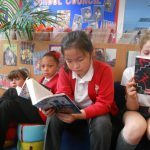 The School Library Service have asked if any children would like to read some of the books that have been longlisted for the Leeds Book Awards 2015 and tell them what they think of them. 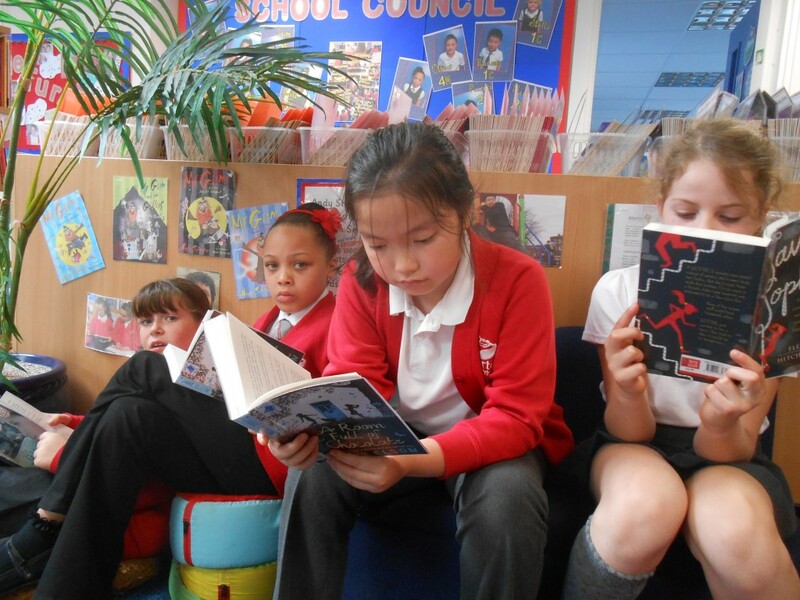 The Page Turners decided to take up the challenge and may let some children from year 5 and 6 join them. Our bookmarks have been laminated so we are adding stickers to make them perfect .We are planning to create a book loving boy band with three clone Nialls , a Harry and a couple of Zayns who love books and sing many songs about books! Unfortunately Louis and Liam never made the band for they were not very popular and so will not make it to enjoy the experience of being in between the pages of our books . 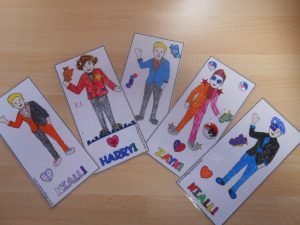 We have been making bookmarks with 1D on them take a look! We have been reading the suitcase kid its brilliant we give it 5 out of 5. A quick reminder Dahlicious day tomorrow (Friday) remember a pound to dress up come back tomorrow to see what we have been dressing up as(at the library.) Make sure to dress up as your favourite Roald Dahl character. Today the Page Turners met for the first time this year. It was a great turnout and everyone was really enthusiastic. We talked about how we would like the club to work, the sorts of books and authors that we liked and decided which book we would read first. Also we talked about our display board which is located opposite the library and what our first display could be. It was decided that everyone would have their photo taken with a book that they had enjoyed reading. Abi volunteered to create the first display. The Page Turners are back! 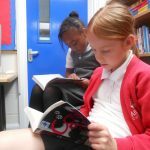 Hoping lots of year 4 and 5 children would like to join Miss Whiteley’s book club. We will be reading books, talking about books, doing arty crafty things but most of all having fun! Meet in the library (or outside on sunny days) at 12pm – 12.30pm on Tuesdays and Thursdays. Over the past few weeks the Page Turners have been reading all things Roald Dahl. We talked about some of the books that we had read and George’s Marvellous Medicine and Charlie and the Chocolate Factory were the most popular with The Witches, James and Giant Peach and the Enormous Crocodile favoured next. Next week we will be getting arty crafty and making our own enormous crocodiles or newts, Mr Twit beards, designing our medicine for George and his Grandma or going colour crazy and colour in one of the dahlicious colouring sheets. 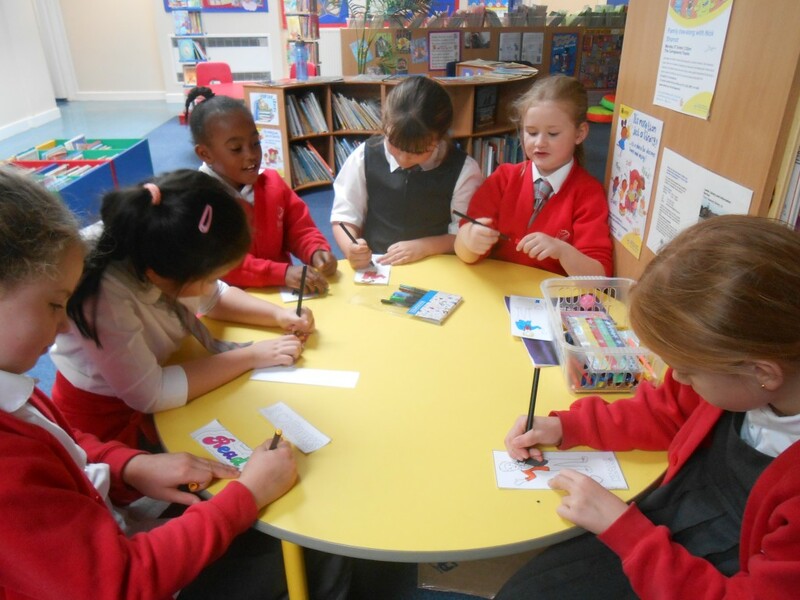 This week the Page Turners got arty crafty and created their own bookmarks. 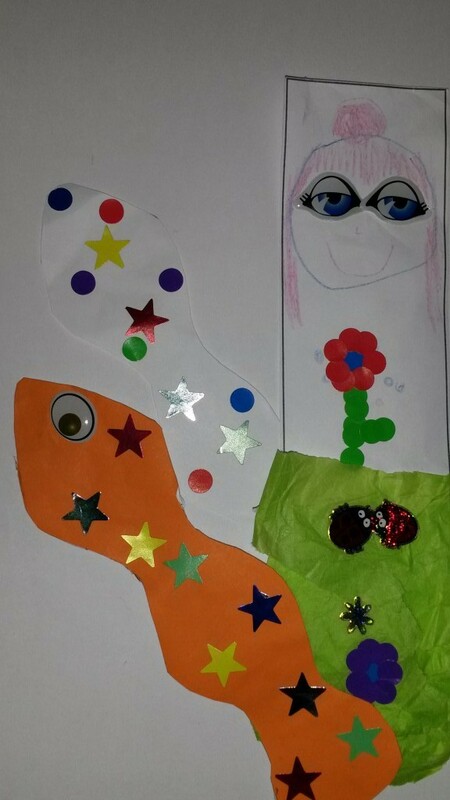 By the end of the meeting there was an array of bookmarks, some had been decorated with stickers or intricate coloured designs and there were several bookworms complete with googly eyes. At the next meeting we will be checking out the World Book Day books. Page Turners had a great turnout today. 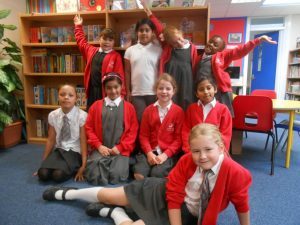 Eleven children have decided that they would like to join Page Turners and are very excited about our first official meeting in a few weeks. If you missed today’s information meeting and would like to join Page Turners please see Miss Whiteley. Mrs Cooke on 3HP Reading challenge! nannette madziva on 3HP Reading challenge!